EndodontistDr. Andrew Brasser joined Shamblott Family Dentistry in 2017. He earned his B.A. in Chemistry from Saint Olaf College in Northfield, MN. Subsequently, he attended the University of Iowa College of Dentistry where he received his Doctor of Dental Surgery. 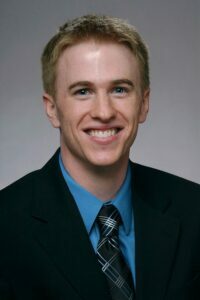 After dental school, Dr. Brasser was accepted into the Endodontic Residency at the University of Iowa, where he spent an additional two years of specialty training to receive his certificate in Endodontics. Dr. Brasser received board certification from the American Board of Endodontists; a distinction earned by only 40% of the endodontists in the country. In his free time, Dr. Brasser enjoys spending time with his family, running and playing tennis. He also enjoys camping, fishing and spending time in the great outdoors. Summary of Credentials: Dr. Andrew J. Brasser, D.D.S. To make an appointment with Dr. Brasser, please call Shamblott Family Dentistry at 952-935-5599 today. Remember new patients receive a free new patient examination and necessary X-rays (bitewing and panoramic).